Do I need to be a certain age to order? Is ordering online safe / secure? Will you pass-on any of my details to a third party? Can I order by post / fax? When will my card be debited, or cheque / postal order cashed? What if my order isn't approved by the prescriber? If my order is approved, when will it be despatched? What if the delivery address is different from the card holder's address (if I pay by this means)? How are the items packaged / delivered? Will I have to pay any import taxes or customs duties? Will the items I ordered match exactly to those pictured on the Web Site? Will the products I order include any instructions of use? 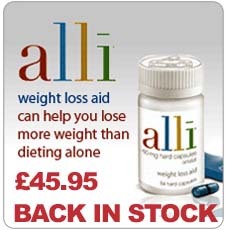 What happens if I get a side-effect? Yes - You must be 18+ years of age to order. Yes - We process your orders over a 256 bit secure and encrypted connection. Our online ordering facility uses Sage Pay which is fully safe and secure and encrypted for all credit / debit card transactions. 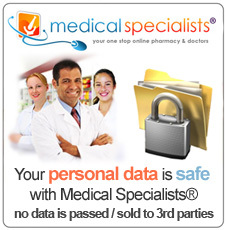 No - We keep all customer / patient details in the strictest confidence, especially any medical information. We will not pass-on any personal information without your written permission. We will send you a copy of the medical questionnaire and your answers, along with a letter to give to your own doctor / physician inkeeping with the 'Good Medical Practice' as set out by the GMC. 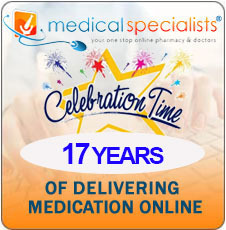 We may use your address or email to contact you regarding your order or medication. There are no delivery charges in U.K (including Northern Ireland) for orders over £35, but orders under that are charged at £6.95 for our Royal Mail Special Delivery service. 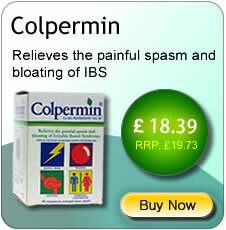 For orders outside the UK, there is a £10.00 charge for delivery. We only accept payment in UK Pounds Sterling ("GBP"). If you are ordering from outside the UK, your bank will automatically convert the payment to your currency on your card statement. No - for security reasons we only accept orders and payment through our secure web site. When will my card be debited? We will not debit your card until your order and medical details have been reviewed by one of our prescribers and the prescription(s) issued (where necessary). Upon approval, payment will be taken and our inhouse pharmacy will then dispense your medication. If medication is ordered via the 'private prescription' route, payment will be taken once we recieve your private prescription in the post. Please note: If you place an order and are unable to provide a private prescription, your medication will not be delivered and you will be liable to a £10 administration charge. If your order is not initially approved, we will contact you to obtain further information, discuss the answers to your medical questions, or notify you that you were rejected. If, in the end, your order is rejected, there will be no charge, and you will be notified. We aim to dispatch/dispense all orders within 24 hours of prescribers approval, on weekdays or on the next working day if placed at the weekend. For next day delivery, orders must be placed and approved before 3:30 pm Mon-Fri and if available, are guaranteed by Royal Mail for delivery on the next working day by 1pm. Obviously, we cannot control the actual time it may take for an order to be delivered, as this will be dependent on the carrier and other circumstances. What if my order is placed over the weekend? If placed over the weekend your order will be dealt with on the next working day. What if the delivery address is different from the card holder's address? We will dispatch to a different delivery address from the billing address, but will carry out additional checks where we deem it necessary to protect both ourselves and our customers. Our service is fully confidential with no embarrassment - All orders are sent in discrete and private packaging, which is completely opaque, with no indication of its contents. For further information, please click here. No - For security reasons, we do not deliver to P.O. Boxes. Yes - For security reasons, you will be required to sign for the delivery. It will depend on your local laws, but Medical Specialists Company Ltd cannot be held responsible for import rules or duty / tax of receiving country, the person making the order will be responsible. Packaging design and quantity-per-pack may vary from that pictured, because of variations from the manufacturer, but you WILL receive the total quantity you ordered, of genuine manufacturer's products. Will the products I order include any instructions for use? Yes - All medicines will contain instructions, in English only. Please follow all manufacturer's instructions carefully. Please discuss your therapy with your own GP / doctor and arrange with them to be monitored with any necessary check ups. You must discontinue the therapy and inform us immediately. You should arrange to visit your own GP / doctor immediately. All products mentioned are trademarks or registered trademarks of their respective owners / licensees. Be sure to notify your own doctor of any medication that you purchase and take, or that you intend to purchase and take. If you have any questions related to your health, we advise you to contact your own doctor, who will be more familiar with your medical history. Please follow the manufacturer's instructions carefully and completely, as contained with each product. Medical Specialists Company Ltd will not accept any liability for misuse or abuse of any medication purchased from us. For Complaints Procedure, please click here.